 Our Jan/Feb 2019 issue of House and Home is our BIG small homes issue, with tonnes of inspiration for tiny spaces, and we're putting a focus on small homes here on houseandhome.ie too! 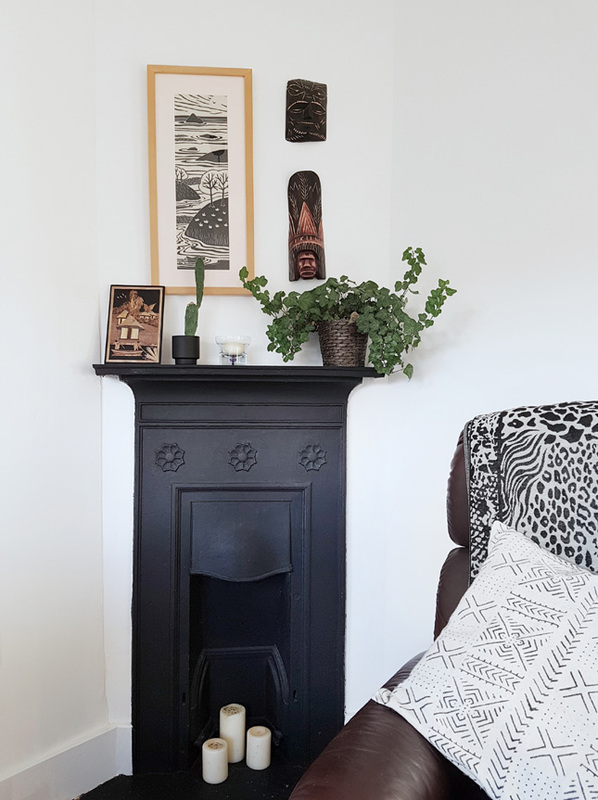 Next in our small homes series is the gorgeous gaff of Jo-Ann Ward - an ex-council house that's been given a serious makeover! 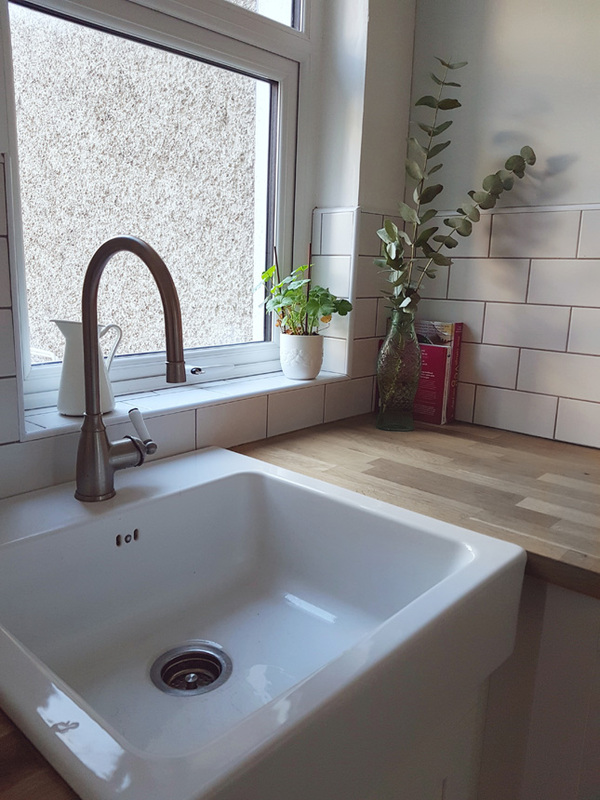 Jo-Ann and her husband bought their home - a 1940s terraced ex-council house in Dublin 5 - two years ago, and have completely transformed it since. They did some major renovations on their two up, two down home, some of which were non-negotiable. "There was a hole in the kitchen floor when we viewed it! To be honest, it was the best house that we could afford – even though it is small (689 sq ft)and needed to be completely renovated. 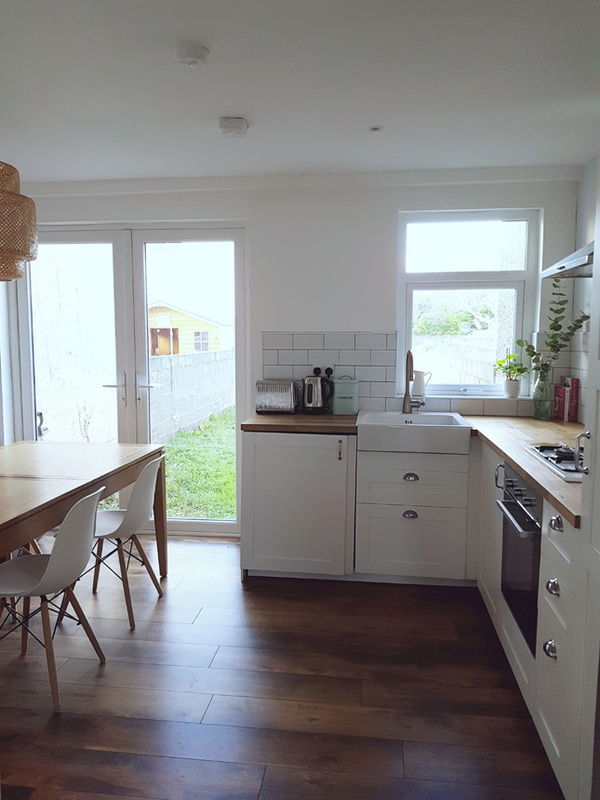 We could see the potential; it has a really nice aspect, the rooms have good proportions, there is a very big back garden if we want to extend in the future and it is in a lovely neighbourhood," says Jo-Ann. 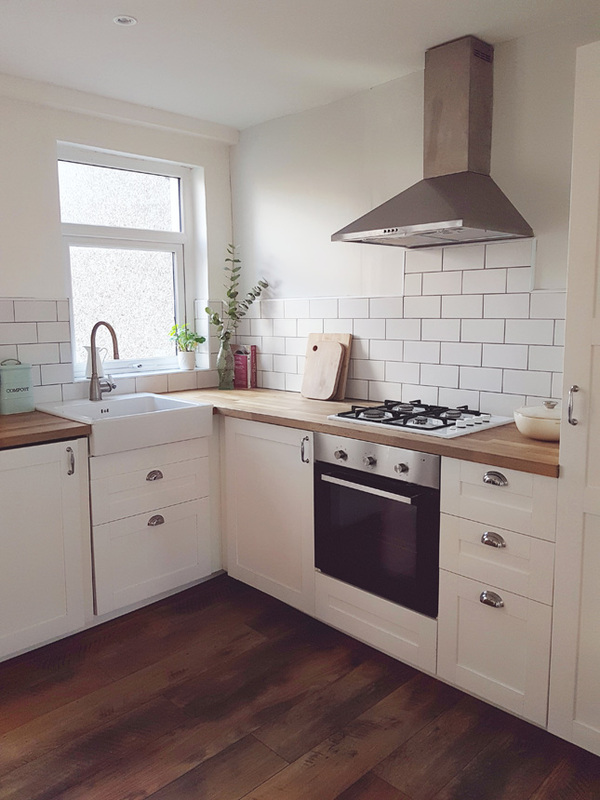 Their gorgeous home is now unrecognisable from when they bought it - you can see the polystyrene ceiling tiles and woeful carpet leftover from the ex-council house in her Instagram highlights. Their 'before' home is a world away from where they're at now, but they actually got stuck in to making over the space themselves. "We were up for renovating and doing a lot of the work ourselves. All the electrics needed replacing, as did the windows. We had to replace all the pipes and install a central heating system. We also insulated almost every wall, put in a new kitchen and bathroom, and finally we redecorated the whole house," she says. They toyed with the idea of making the downstairs completely open plan, but decided against it in the end. 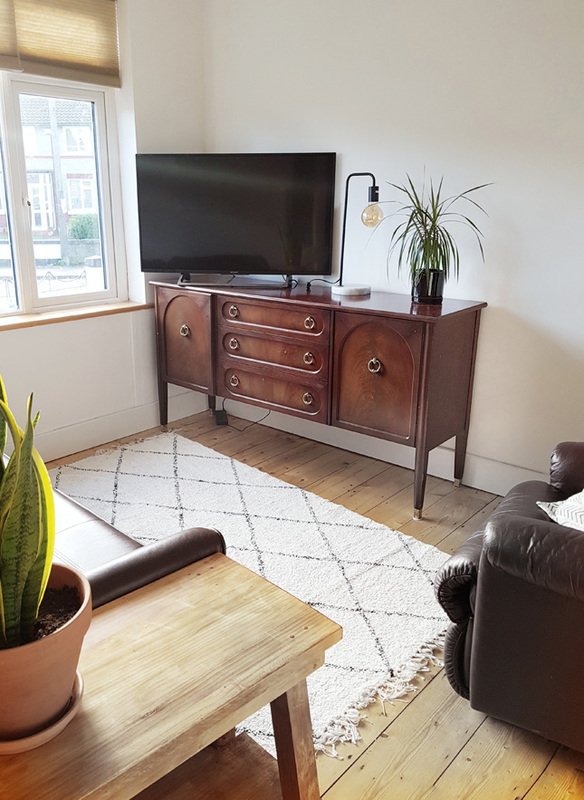 "Open plan is probably nicer from a design perspective, but I really like having a cosy sitting room and right now having two rooms makes sense for us. Also by keeping the walls, we can play around a bit with art. We have art that we picked up travelling and gifts from friends and family. Though not everything is hung up or in the right place, yet!" she laughs. 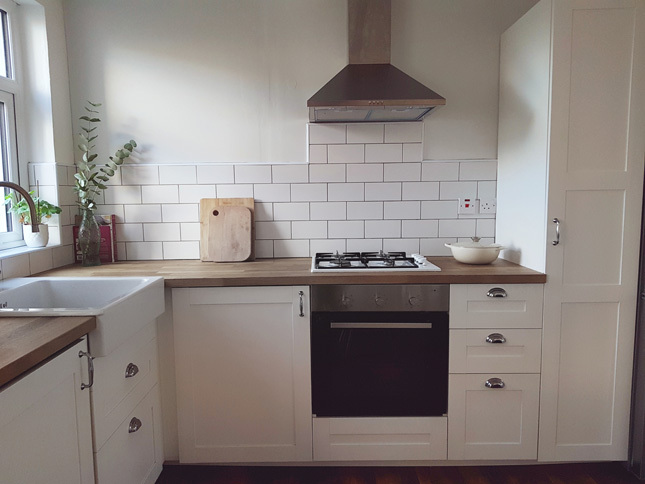 The kitchen is Jo-Ann's favourite room, and by far the room she spent the longest deliberating over. "I am so happy with the result. 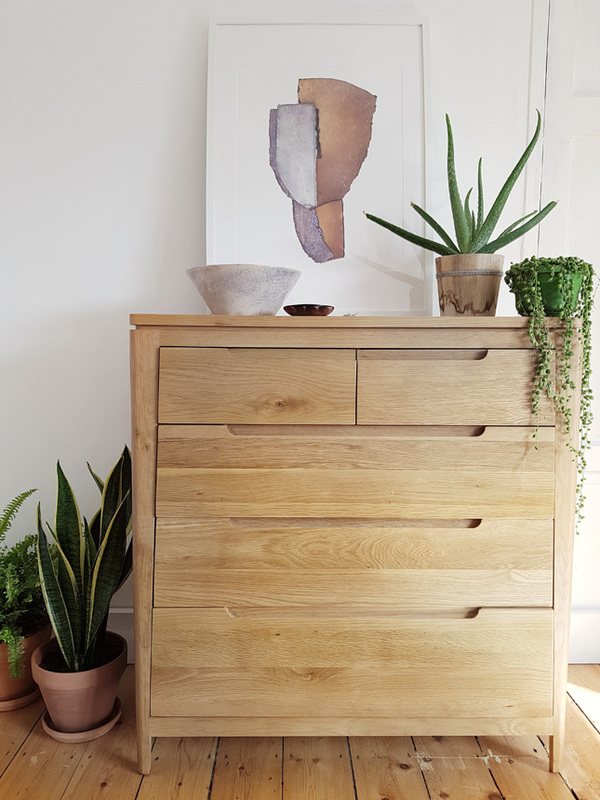 My husband fitted it and I only recently finished painting it, so it was a long process! But it always makes me smile." 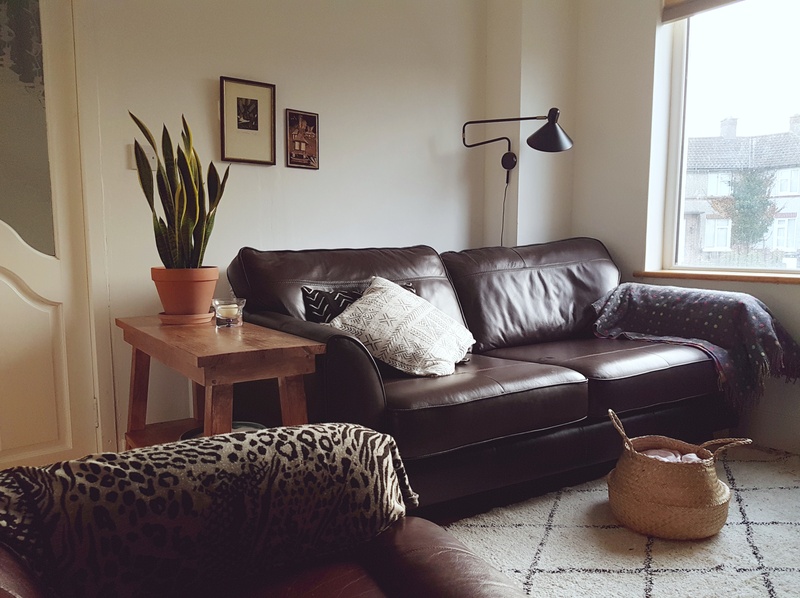 Though nothing compared to the tiny house trend, Jo-Ann lives with her husband and their baby daughter in her 689 sq ft house, making it a modest space for a family of three. 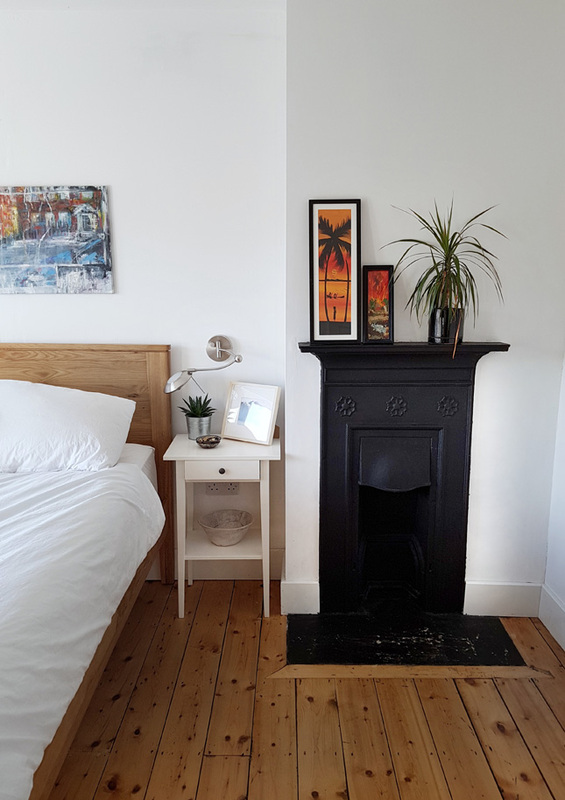 They've had to work to maximise the amount of space they have, which in a Marie Kondo-friendly approach, involved a lot of downsizing when it came to 'stuff'. "We try to live with less things – we have a one item in one out policy that we try to stick to. My clothes fit in three small drawers and half a rail in our bedroom. We want our house to be somewhere we can relax and enjoy, not just somewhere to store stuff we don’t need or want. We have tried not to be limited by the space. 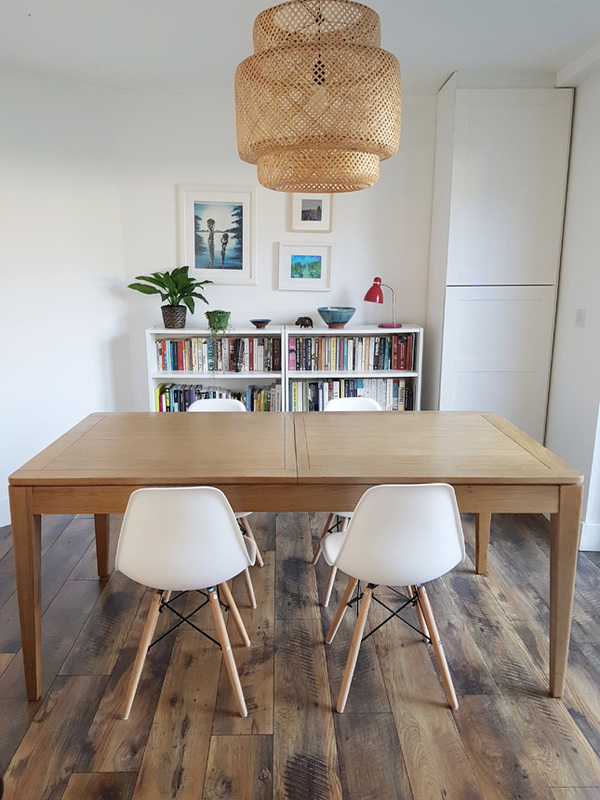 We bought a forever dining table that sits up to eight people, rather than opting for a small cheap dining table for now. We move around the furniture a lot in the kitchen/dining room depending on what our needs are that week," she says. It's their daughter's room that has caused them the most headaches when it comes to space. "The biggest problem room is our spare room/nursery. 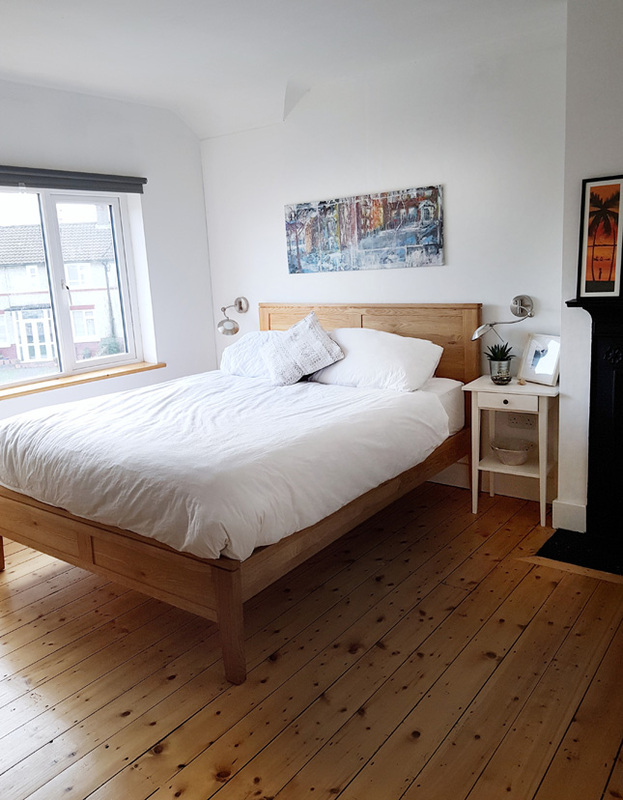 It would be lovely to have some more floor space in there as it is very tight with the cot and double bed - or ideally a third bedroom would be nice! It's quite packed but it makes sense for us right now to have a spare bed and cot in there. I felt much better once we decorated it though, as it looks bright and homely now, even though it is a bit cramped!" Not one to rest easy, even though the ex-council house renovation has recently been completed, she has eyes on her next project already. "The next step is the garden. We have a big back garden that has never had anything done to it so we are looking forward to a new project!" says Jo-Ann. 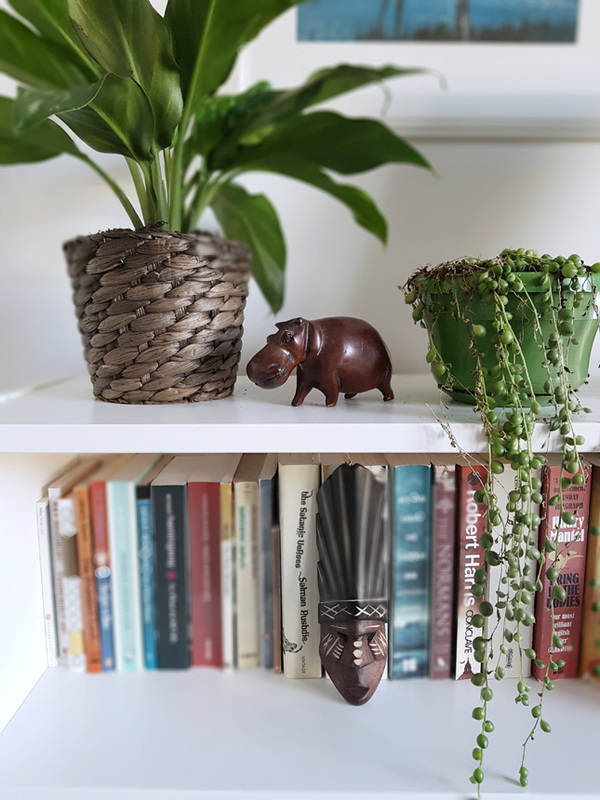 Jo-Ann has been finding workarounds for her small space since she moved in, so we tapped her for her top five small homes tips and tricks to maximise the space you have! Don’t have anything in your house you don’t use regularly or love. If you have less you will need less storage. 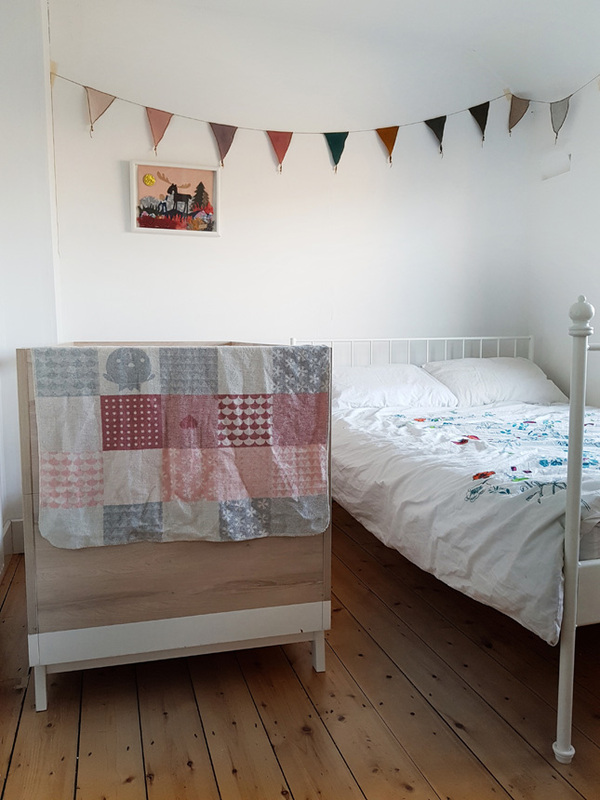 When buying for our baby, we tried to choose things that can be stored away – for example, her buggy folds up suitcase size and can be hung up in a cupboard in our hallway. White walls and big windows give a sense of space in a small room. You don’t have to follow the rules or trends – open plan living is fashionable but we like having two living spaces downstairs. Just because your space is small doesn’t mean your furniture has to be small - having it be low profile or streamlined is more important.